 Thank you for choosing Himelhoch Bed & Breakfast, we’re glad you enjoyed your stay! At your convenience, would you please take a moment to share your positive experience online with your friends and others on your favorite review website below? We’re sorry to hear you didn’t completely enjoy your stay at Himelhoch Bed & Breakfast. We strive to make every guest’s experience enjoyable so we would welcome learning how we can improve and provide a more pleasurable stay in the future.